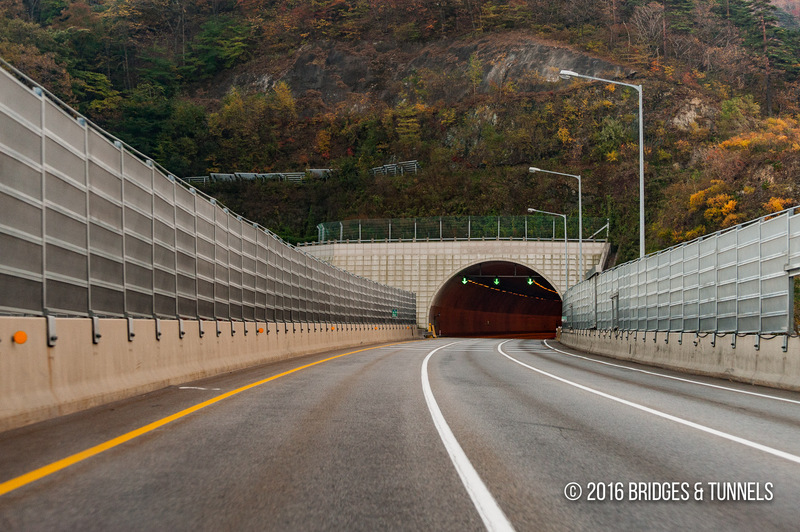 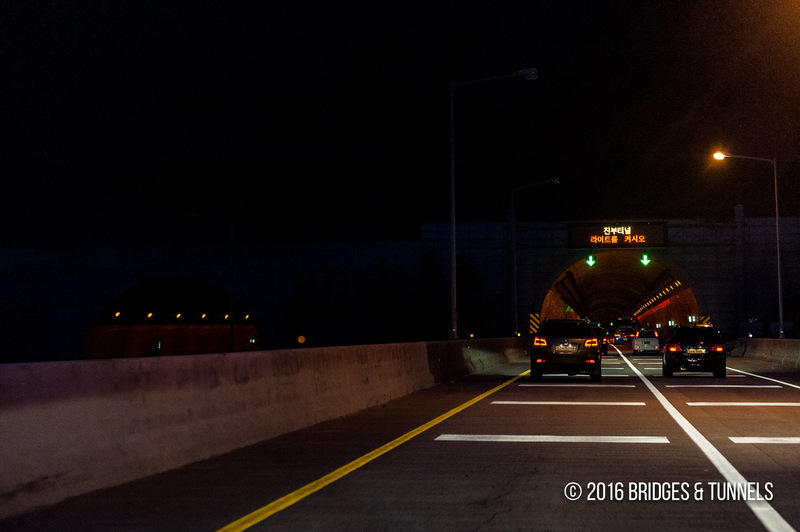 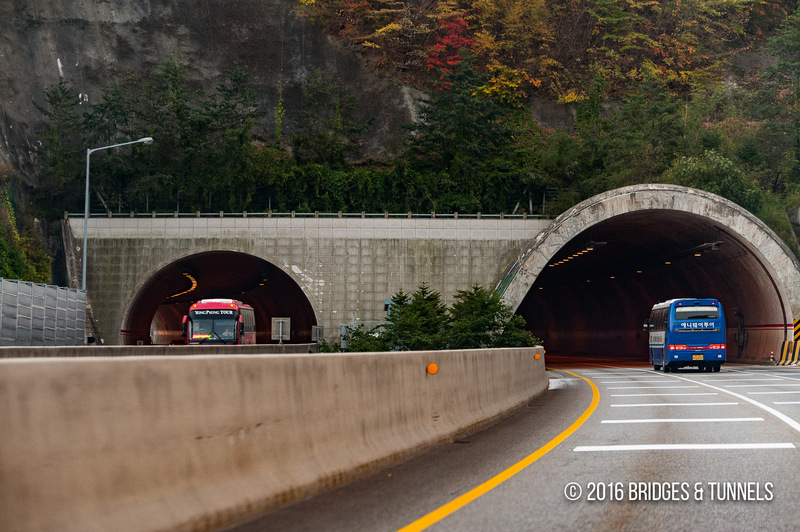 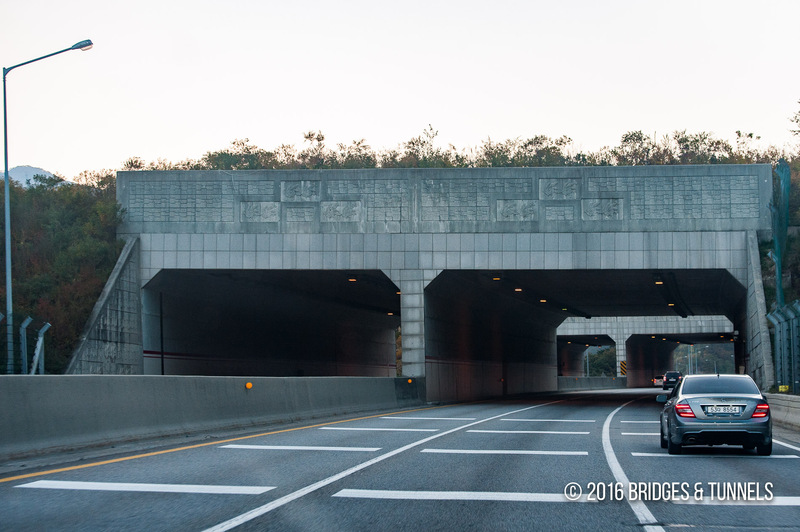 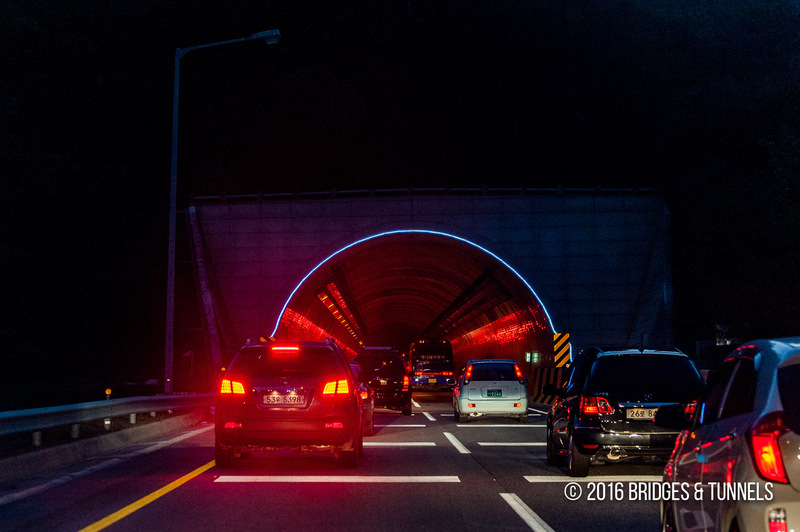 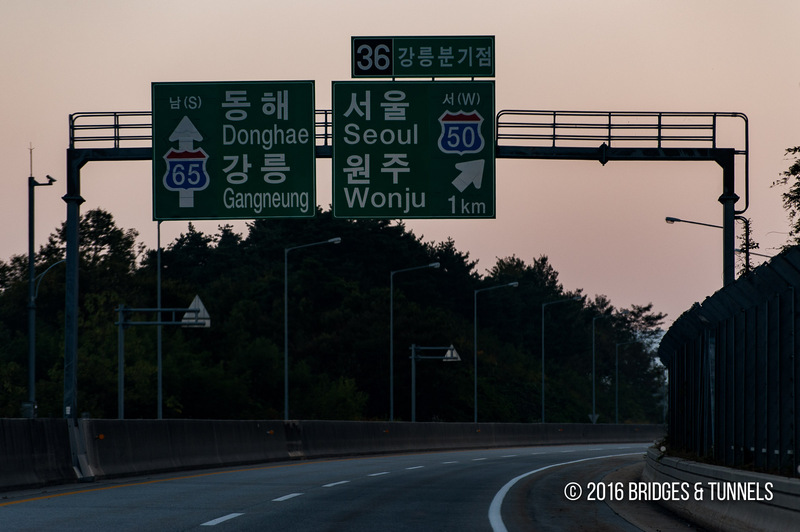 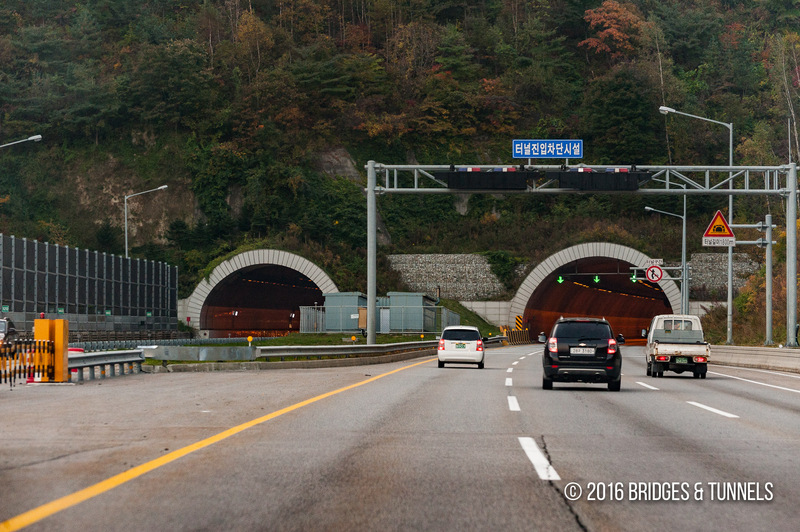 The Daegwallyeong Tunnels consists of six tunnels along Expressway 50 in South Korea. 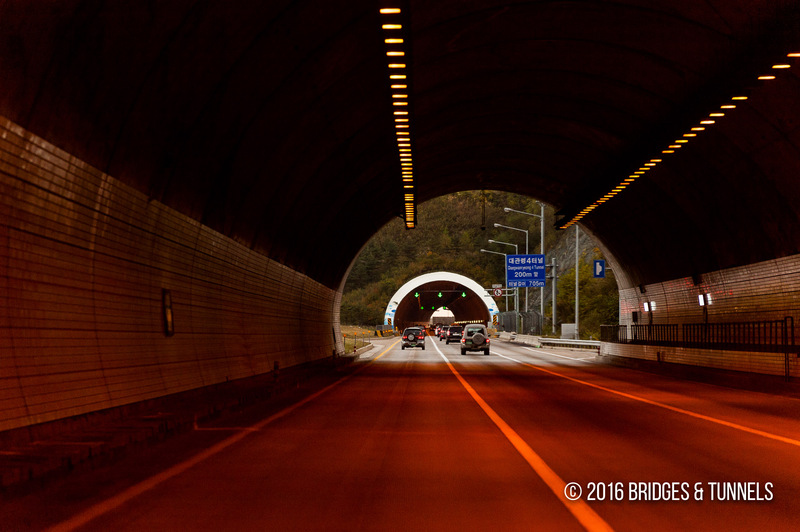 Tunnel 7: 120 meters, constructed in 2001. 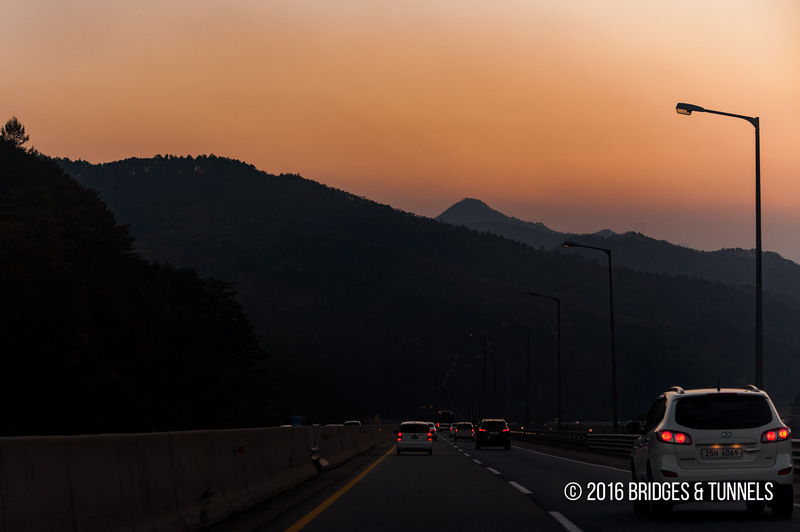 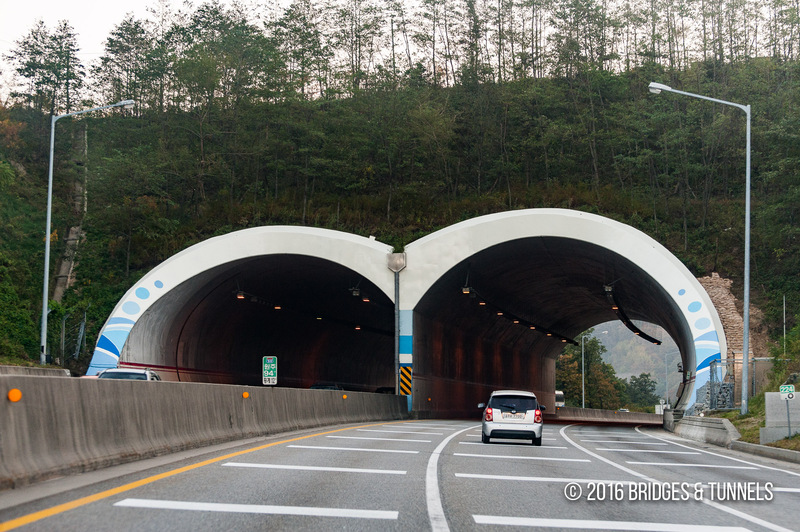 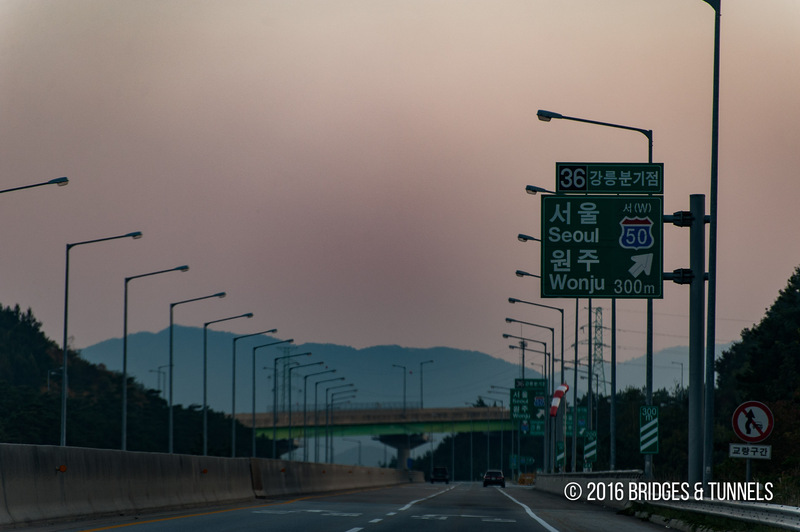 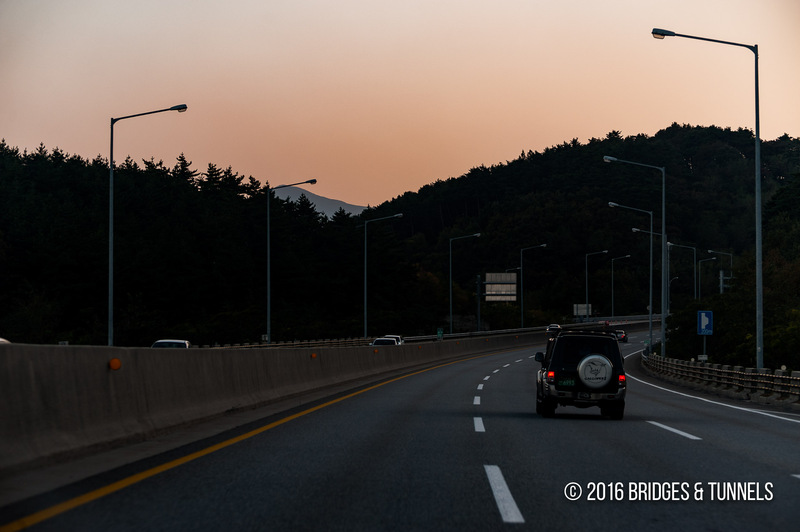 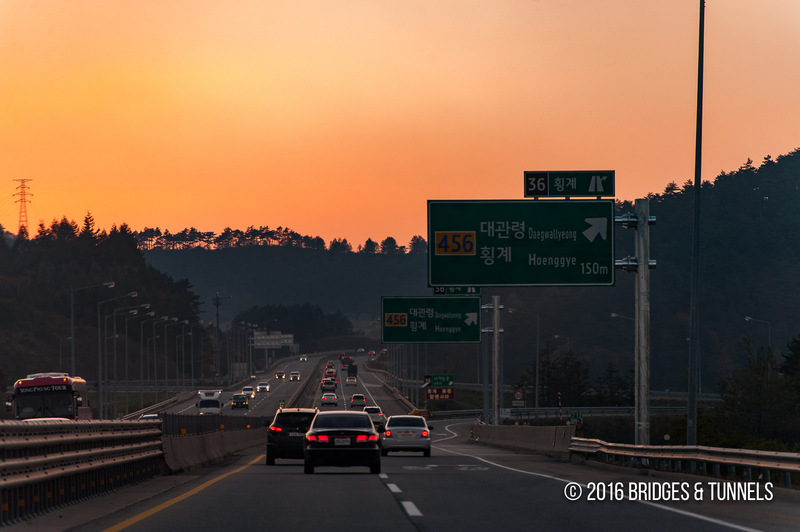 The Hoenggye-Gangneung extension, including the Daegwallyeong tunnels, through the eastern mountains of the country, was opened to traffic on November 28, 2001. 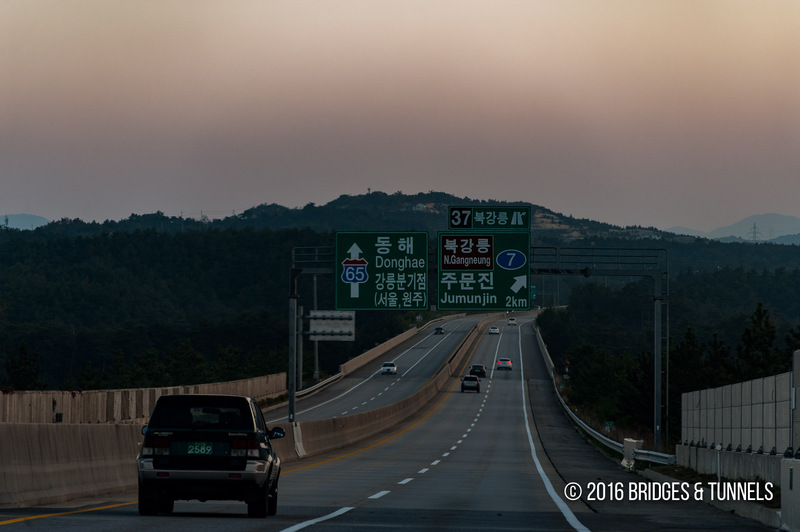 Approaching Expressway 50 from Expressway 60.